The Penarth Summer Festival Open Studio weekend is now firmly closed. It turned out to be very enjoyable. Lots of nice and interesting people turned up including a young woman doing an MA in Art, Health and Wellbeing, specialising in textiles and curating and a tailoress from the costume department of the Welsh National Opera who told me all about making costumes for men with big lungs and huge chests. 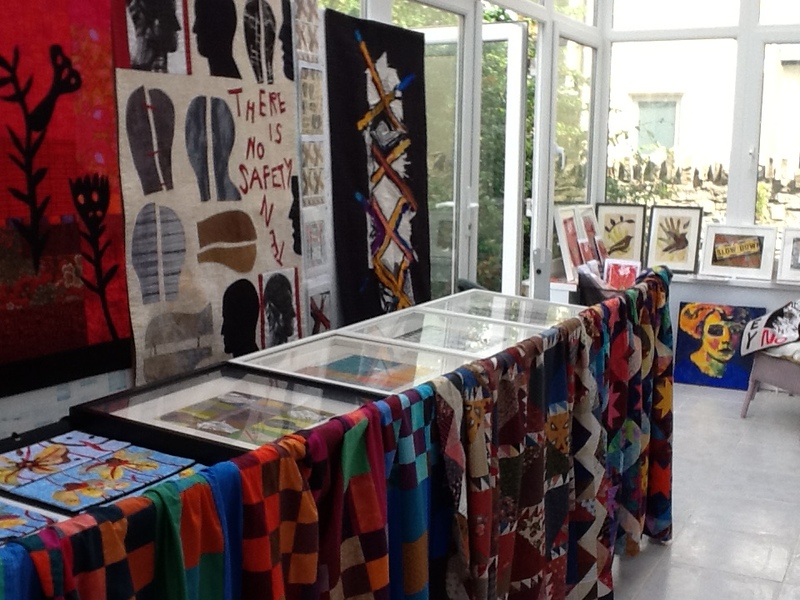 Oh and a teacher who asked if I would be an artist that her A-level textile students could study. STUDY egad! The conservatory did duty as a studio. Really I work on the third floor in a tumult of fabric and half-finished ideas. Now it has reverted to its true self – only cleared of the usual clutter which is fabulous. That alone made the whole thing worth while. Look! 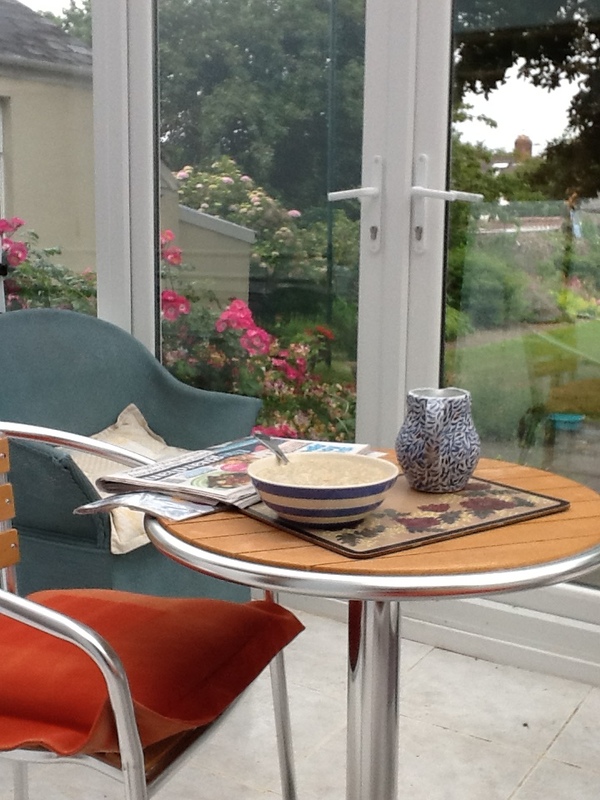 My porridge, the papers and the roses. Bliss.